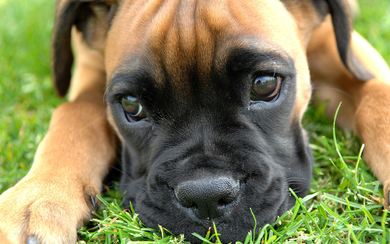 Your charitable donate is vital to the continuation of this rescue group. 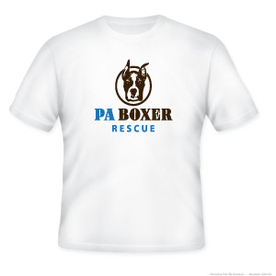 PA Boxer Rescue is solely operated by a network of unpaid volunteers who conduct all aspects of dog rescue which include: onsite rescue/intake dog rescue, dog fostering and rehabilitation, veterinarian cost, animal transport, and dog adoption arrangement. Our network of volunteers are dedicated to saving dogs and finding the perfect forever home, but do require your help. Please help! BECOME A MONTHLY SPONSOR - MAKE A MONTHLY DIFFERENCE! 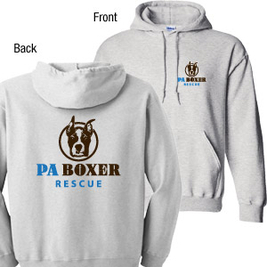 A light grey colored hooded sweatshirt with our rescue logo printed on the front left chest and again on the back with a larger center positioned print. Sweatshirts are a heavy blend of 50% cotton / 50% polyester. Receive one FREE sweatshirt with every $50 donation using the PayPal button below. Our dogs love their Kuranda beds, but we don't have enough for everyone. Please donate a bed to help us meet our goal of a bed for each one of them. 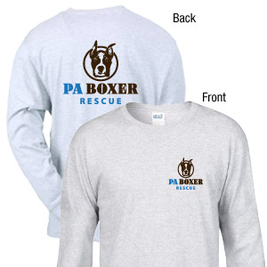 A light grey colored long sleeve T-shirt with our rescue logo printed on the front left chest and again on the back with a larger center positioned print. Long sleeve tees are a blend of 50% cotton / 50% polyester. Receive one FREE sweatshirt with every $35 donation using the PayPal button below. A classic white T-shirt with our rescue logo printed on the front Long sleeve tees are a blend of 50% cotton / 50% polyester. Receive one FREE sweatshirt with every $25 donation using the PayPal button below. Copyright © 2014-2019 PA Boxers Inc. All rights reserved.